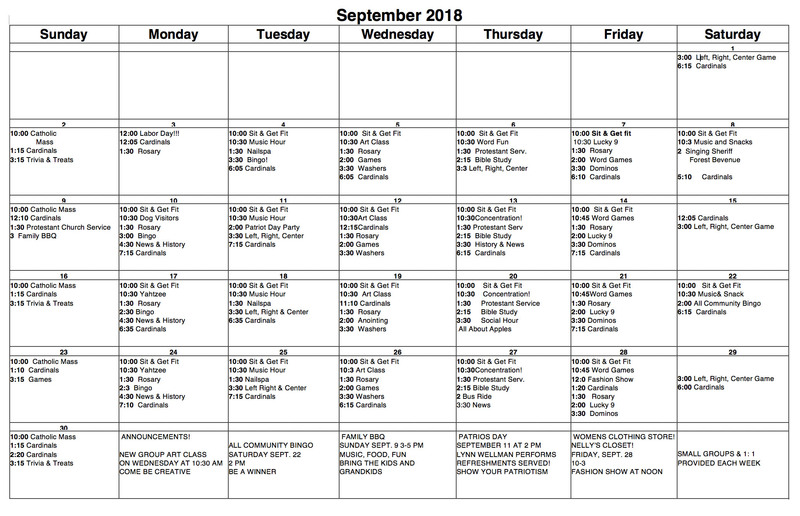 Click here to view and download the September skilled nursing activities calendar. 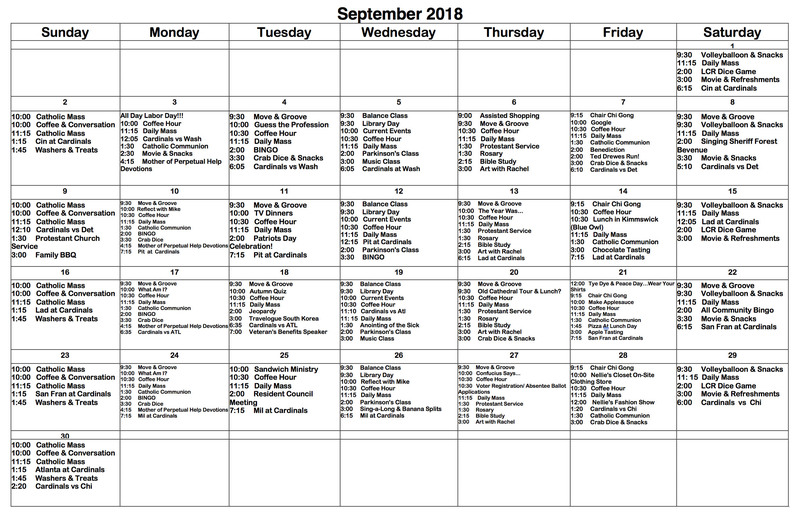 Click here to view and download the September Independent Living activities calendar. 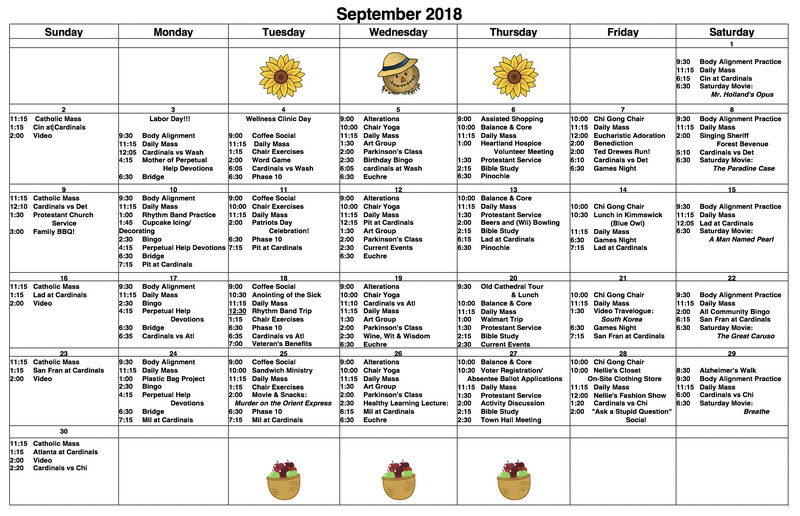 Click here to view and download the September Assisted Living activities calendar.